More and more business owners are finding that selling their company to an outsider is becoming increasingly difficult. As a result, they’re realizing that selling to a successor is the best way to receive the full value of their business when they retire. The plan will work beautifully as long as the business makes all the buyout payments. But the business’ ability to make those payments relies on the successor not screwing things up! It’s nearly impossible for an owner to effectively develop their own successor! In order for meaningful improvement to take place, open, honest, challenging, and confidential conversations with the successor must take place. But it’s virtually impossible for a successor to be completely open, honest, and vulnerable when those conversations are with the person who will decide whether they will be taking over the company. It’s unrealistic to expect a successor to acknowledge their shortcomings and fears in a conversation with the owner. It’s unrealistic to expect a successor to share their frustrations and dissatisfactions to that owner. And it’s unrealistic to for an owner to challenge a successor’s thinking or judgment and expect them to respond transparently and honestly. The interpersonal dynamics between owner and successor make it nearly impossible for an owner to effectively develop his or her successor. Regardless of the number of years of experience we have, our level of intelligence, and the amount of education we’ve had, we all have blind spots. We can’t see what we’re missing. And because we have blind spots, it causes us to limit our thinking and the solutions we come up with. In addition, when someone has spent a considerable amount of time in an industry and/or a company, they tend to develop “group think”. In other words, they tend to think about problems and seek solutions the same way others around them tend to think about and see those things. Group think limits the solutions we come up with. Because getting past blind spots requires outside perspective, it makes it nearly impossible for an owner to effectively develop his or her successor. Virtually everyone around a successor has an agenda – their co-workers, their spouse and especially the owner. They either want things to change or they want things to stay the same. They want the successor to act and make decisions in a way that gives them what they want. In order for a successor to hone their thinking and judgment, they need an unbiased sounding board. Because getting objective perspective and having an unbiased sounding board are essential to improving a successor’s judgment and decision-making, it’s nearly impossible for an owner to effectively develop his or her successor. There’s a reason it’s called successor development and not successor training. The growth that needs to occur happens over time. It won’t take place simply by attending a workshop or reading a book. Development occurs as a successor deals with everyday issues and then gets outside perspective to shift how they lead, think, and interact. Most owners simply don’t have the time needed to give a successor the attention required for effective development. 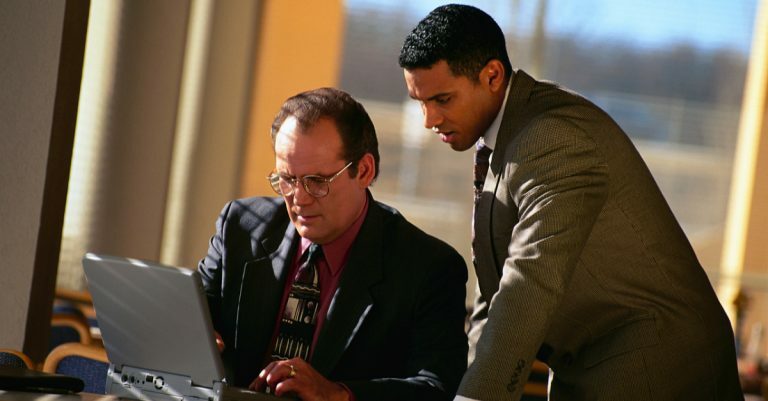 Consequently, it’s nearly impossible for an owner to effectively develop his or her successor. Let’s face it, successful business owners are pretty expert at the business of their business. They couldn’t have gotten where they are without developing that expertise. But in order for a successor to succeed in their development, they need to be coached and mentored. Mishandling this will produce mediocre results at best and may do more harm than good. The truth is that the skills that got owners to where they are aren’t the same skills required to effectively coach and mentor a successor. By way of example, a seasoned professional executive coach goes through extensive training and years of practice to hone their coaching skills. Because coaching and mentoring don’t come naturally to most owners, it’s nearly impossible for an owner to effectively develop his or her successor. In summary, it’s critical for a successor to be properly developed so the business thrives after the owner leaves and all purchase payments get paid. In order to maximize the likelihood of that happening, it is essential to bring in outside expertise to help complete the development of a successor. The risk of handing your company over to a poorly prepared successor is too great to leave their development unfinished.